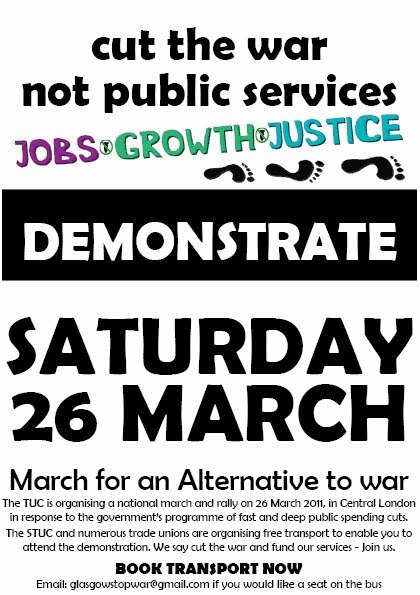 The TUC is organising a national march and rally on 26 March 2011, in Central London in response to the government’s programme of fast and deep public spending cuts. 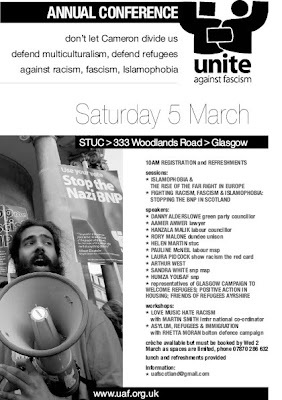 The STUC and numerous trade unions are organising free transport to enable you to attend the demonstration. 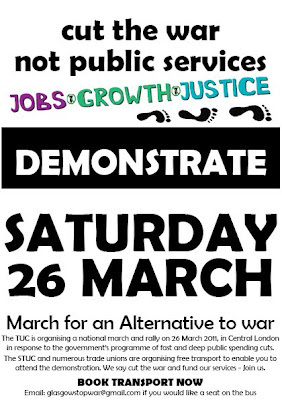 We say cut the war and fund our services - Join us. 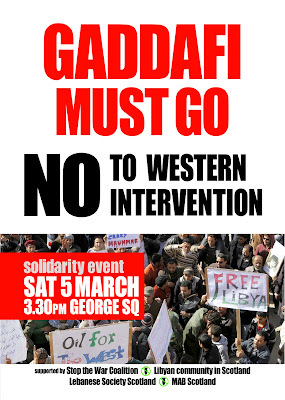 Email: glasgowstopwar@gmail.com if you would like a seat on the bus. We will collect the names & contact details of those wishing to go and help arrange transport. We can best discharge it by demanding that the government at long last takes its hands off the Middle East and its people, leaving them to settle accounts with their own rulers.